hard for the money so you better treat her right—"
Folk Art Design for the cookbook by Jo Sonja. Michelle recently came up with an idea for our blog that I am excited about. she proposed that we do a series of post about recipes that we made in our distant past and the stories that go with them. These dishes have survived in our present recipe repertoires—things we still make today because they are just that good. Throughout the years, we have revised and updated the recipes to include more fresh ingredients and more contemporary presents. Some of these recipes from the seventies and eighties even called for canned fruit or mushrooms, for example. Definitely retro—and not in a good way. This firs in the Retro-Style series is a recipe that I originally found on one of the recipe card from a Camellia Luncheon that our grandmother, Maxine, attended back in the eighties, and has a story behind it. 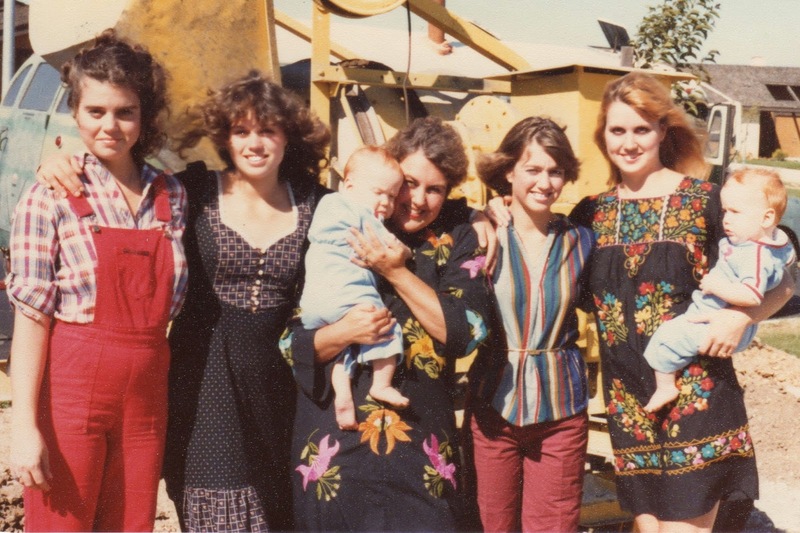 In the early eighties, I was a very young mother with identical twin boys. My sons were born in Stillwater, Oklahoma because my then husband, Danny, had been offered a baseball scholarship to Oklahoma State University. Jordan and Joshua arrived in early December of 1978—just before the start of Danny's senior year in baseball. At the end of that season, without the hoped for offer from a major league team being extended, we decided to move back to California. Eventually, with the help of my mom finding a cottage that was built in the forties for us to rent, we settled in the Danish-themed town of Solvang, with my parents and Michelle (who was still at home) living just a couple of miles away. Later, Juliette would move into the house next door to us. Those were most definitely the good old days. 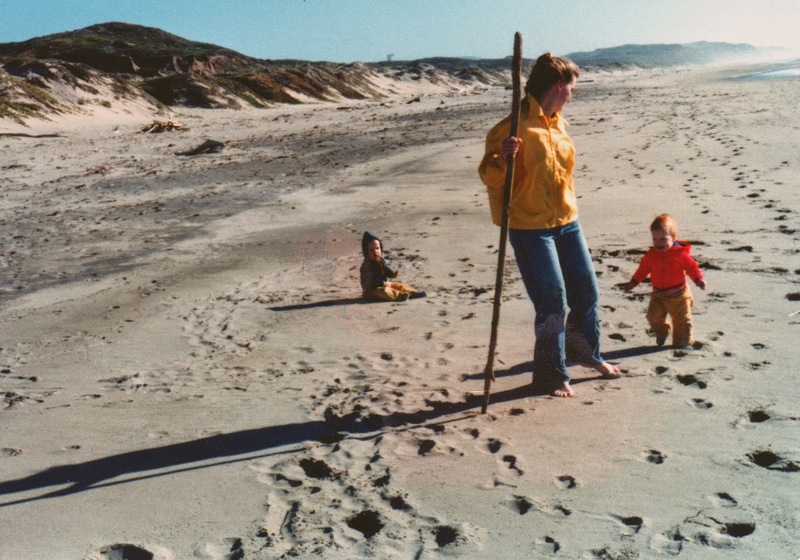 Joshua in the background, and Jordan and I in the foreground, at Surf beach in Lompoc circa 1980. When the boys turned two, and financial pressures became significant enough, I knew I needed to find a job. 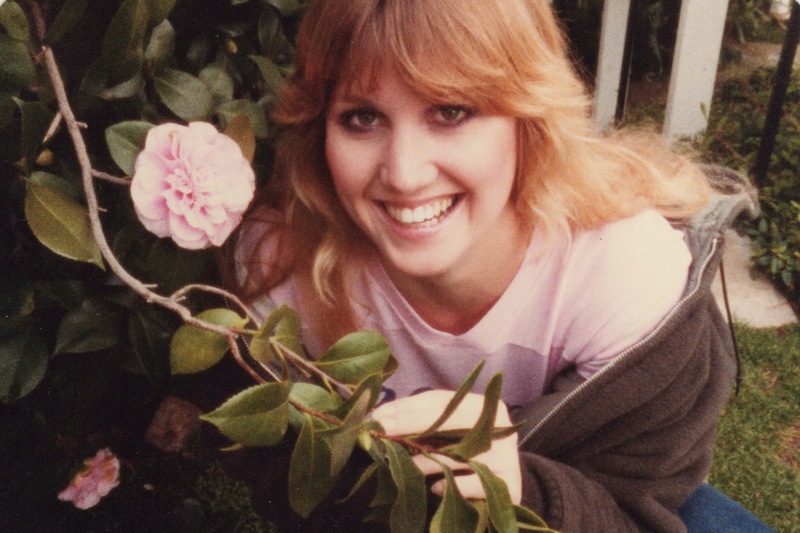 I had been working as a florist/designer before the boys came along. However with the cost of the boys' day care eating up more than half of the salary of a florist, I turned to waiting tables, like many legions of women before me. I will be eternally grateful that the state of California requires that food servers be paid minimum wage in addition to tips. This allowed my minimum wage to pay for the cost of child care, and my tips went to all the other expenses involved in keeping a young family afloat. Jordan, Linda and Joshua on Figueroa Mountain in the Santa Ynez Valley circa 1982. The photo was taken by my college friend Ron Levy. Although I was a more than competent cook and baker in those days—having been interested in cooking at a very young age—I had never cooked professionally. My sister, Juliette, got me my first job as a waitress at a Belgian waffle house in downtown Solvang that served breakfast and lunch. To his credit, the owner made the yeasted waffle batter from scratch, and cooked the waffles on round irons imported from Europe. As I learned the ropes of waiting tables, I always kept an eye on the kitchen, and knew that eventually, I wanted to be behind the scenes cooking—not waiting tables. However the difference in earnings simply would not permit that change until my children were in school for a full day. The day that Jordan and Joshua went to first grade, I knew that things were going to change in my life, and they did very rapidly. I switched from the "front of the house" to "the back of the house" as it is referred to in the restaurant business. My next string of jobs included cooking and baking for a high end bed and breakfast where I made breakfast in the morning and returned to prepare what the B&B called a "high tea" for all the guests in the afternoon. After that, I was hired on at the second opening of a fancy hotel restaurant as the pasty chef/baker where daily I made from scratch every single loaf of bread, dinner roll, muffin and dessert in the house. I had full creative control there, and I really enjoyed that. And lastly, I managed a bakery/cafe where I did all the baking as well as see over the day-to-day operations. This foray into cooking professionally lasted 10 years. 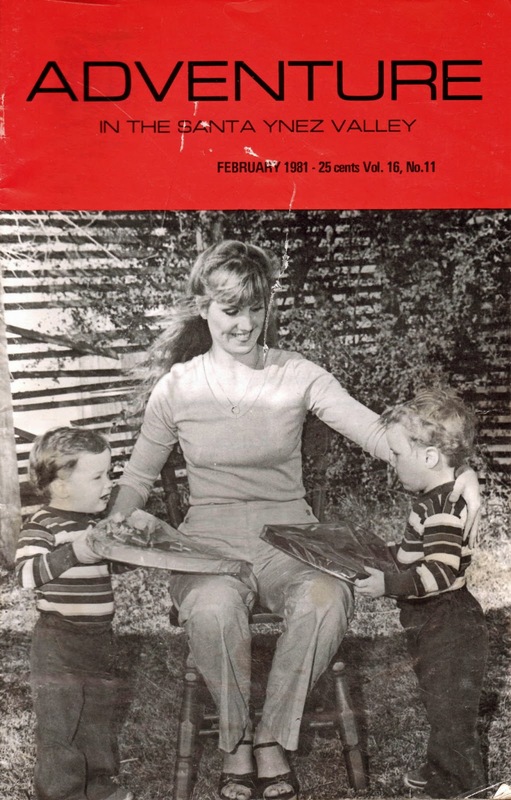 The boys and I posed for this cover of a local magazine in 1981. To prepare me in the years before I left waiting tables for the kitchen, I had taken side jobs helping at catered events where I did everything from prepare food, to serving the guests. I worked weddings, rock and roll concerts, fundraisers, dinner parties, wine country picnics and grilling up Santa Maria-style BBQ under the ancient oaks to large groups of tourists in the Santa Ynez Valley. Once the boys were in school full-time, I branched out and started doing the catering for the cafe in Solvang where I was waiting tables at that time called The Mustard Seed (Juliette and I had both moved on from the waffle house in the beer garden at which we originally worked). The Mustard Seed is still in business today, with different owners than when Juliette and I both worked there. Once I was in charge of planning menus for my own gigs, I started scouting for recipes. It is difficult to remember life before the Internet. At that time, one needed cookbooks—a thousand recipes were not available at the click of a mouse—and Julia Child had one of the few cooking shows around. There was no Cooking Channel, nor were there a myriad of food magazines. 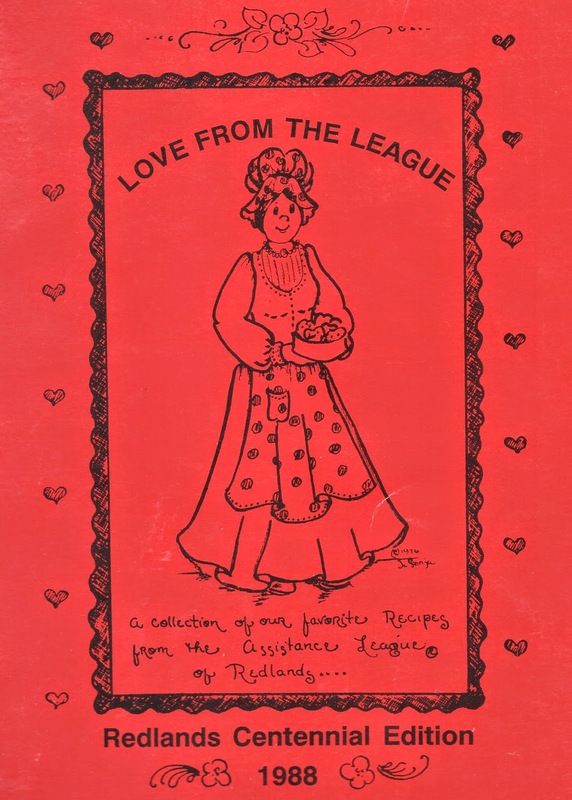 I owned copies of the Joy of Cooking, and Better Homes and Gardens New Cookbook… that was about it, so our Nana's gifts to me of the Assistance League cookbooks provided a variety of tried and true favorites from the women of Redlands with which I experimented. Many of the recipes were submitted from friends of my grandmother's with whom I was acquainted. Our grandparents grew camellias in Redlands when I was growing up—which I have always loved. This photo is of me in Redlands at my grandparents house, and it was taken during the period of my life when I catered and began cooking professionally. Today, I grow camellias in Petaluma. It was in this way that Hawaiian Skillet Vegetables became one of my catering standards for several reasons. First of all it is colorful and delicious. Second, I could prep all the vegetables in advance so it all went together very quickly when it was time to cook. Last, it held up well in a large chafing pan for a long period of time without becoming over cooked or dry. I served this dish to Jay and Michelle during a visit to Solvang almost 15 years ago. They were in town for a visit and I made the veggie dish to go along with Thai Spicy BBQ Chicken and coconut rice. I ended that meal with our family's homemade lemon ice cream—the one much admired by Kirk Douglas (yes, that Kirk Douglas). Michelle loved the dish and asked for the recipe, or else it might have been forgotten—buried in my recipe box and lost to time. There is a reason that we sisters refer to Michelle as The Repository—she hangs on to things. Michelle, who does a lot of entertaining and cooking for large family get- togethers, still makes this veggie side dish—as she did just this past weekend when the Arizona clan gathered for dinner at her house. Juliette, Maria, Mom with Joshua, Michelle, and Jordan and me. As for me, I moved on to an entirely different life eventually. I left cooking professionally far behind. And while there are times I really long to be back in a stainless steel kitchen, boiling up a big pot of stock while I have bread baking in the oven, or I am assembling pies and the hustle and bustle of a restaurant thrumming at full throttle is happening all around me—the reality is that I do not wish for that often. The work was hot and physically exhausting, and the hours were bad, we worked every holiday, and the pay was meager. To offset the down side there was a high degree of satisfaction to be had from making delicious and nourishing meals for people and the joy of being creative when time permitted. What I especially miss is the camaraderie of my kitchen co-workers. However, doing something that you love for pay tends to take the joy out of it in my experience. Now, I much prefer cooking at home. It relaxes me and brings joy to my day—even when I am tired from a long day at work. These days I still work hard for the money, and I make much more of it thankfully. Upon reflection though, I will always be grateful for those days spent in the trenches of professional kitchens serving tables and cooking. Those years made me to a large degree what I am today (that and raising spirited twin boys). As a result of my years spent waiting tables and cooking, I have so much respect and admiration for the people who prepare and serve our food. They all work hard for the money with very little in the way of perks. They don't ask for much... just remember to tip well, to say please and thank you, and send your compliments to the chef. This is yet another terrific recipe gleaned from the cookbook published in 1988 by The Assistance League of Redlands, California. This is the same organization that organized The Camellia Luncheon, a community tradition, which began on February 5, 1952. The fund raising event is held annually. Proceeds from the luncheon are used throughout the year toward philanthropic projects conceived and managed by the members. Following is an excerpt from the 1988 cookbook regarding the Camellia Luncheon: "Each year, approximately 12 lovely homes throughout the city are selected as location sites for the luncheon. Tickets are sold in advance, and identical, pre-tested menus are served in each home. Local Assistance League members are responsible for purchasing, preparing and serving the food. Camellias adorn all of the tables, camellia corsages are presented to each guest, and camellia plants are donated by a local merchant for door prizes in every home." The Hawaiian Skillet Vegetables recipe was submitted by Wally Ann Lynard, who wrote, "Mom's own "My Best Recipe," published in the Los Angeles Times." The ingredients call for one 13.5-ounce can pineapple chunks, with the juice drained and reserved for the sauce. We've updated the recipe by using a fresh pineapple and bottled unsweetened pineapple juice. Also, in lieu of adding dried basil to the vegetables, we substitute fresh basil to garnish the dish right before serving. Serves 10 to 12. You may ask yourself, is it worth the time and effort to make this curry powder from scratch? Why yes... yes it is. 1. Melt 4 tablespoons butter in skillet over medium-high heat, add mushrooms and let sit for about 2 minutes until brown on one side. Then, stir and cover with a lid so the liquid will release. Let cook for another 2 to 3 minutes, stirring occasionally. Lower heat to medium and add bell peppers. Sprinkle lightly with sea salt and add a few grinds of freshly ground black pepper. Saute 3 minutes. Remove mushrooms and green peppers to a bowl and set aside. 3. Add cooked mushrooms, green bell peppers, and drained water chestnuts. Cook 5 minutes longer. 4. Toss in pineapple chunks and when ready to serve, toss in the chiffonade of basil. Makes 10-12 servings. At Last—Gluten-Free Fried Chicken We Love!